I have sorted thru my last year’s e-mails and offer the following. Most of the stuff involve unusual images, so I present most of it in Photo Album format.... Enjoy. This house was touted to be Tiger Wood’s California home in an e-mail I received. Actually, it is a rental on Maui!! NBC created a set of the “Best Pictures of the Year” for 2001 - including the WTC diaster. This is a very unusual moving jigsaw puzzle. There are links to many others on this web page, plus an amazing animated clock. This is a look a 3-D sidewalk chalk art - fantastic, imaginative creations. Here is a set of pictures of a winters day at Lake Geneva, Switzerland - the ice is awesome!! 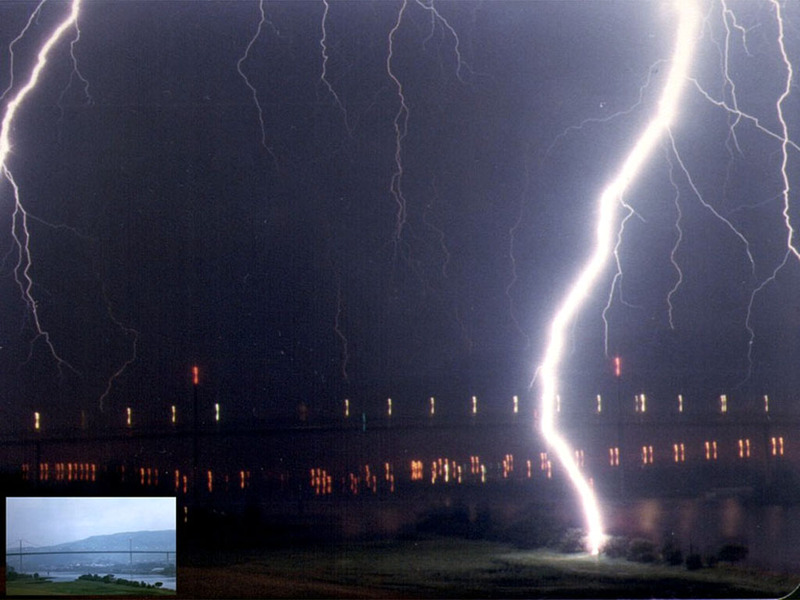 Thunderstorm in Erskine Bridge, Scotland - on the River Clyde.